Melissa Etheridge brings her “Holiday Show” to Alexandria, Virginia, while also promising to play her biggest hits. WASHINGTON — There’s just something about a roots rock vocal taking on a Christmas carol. 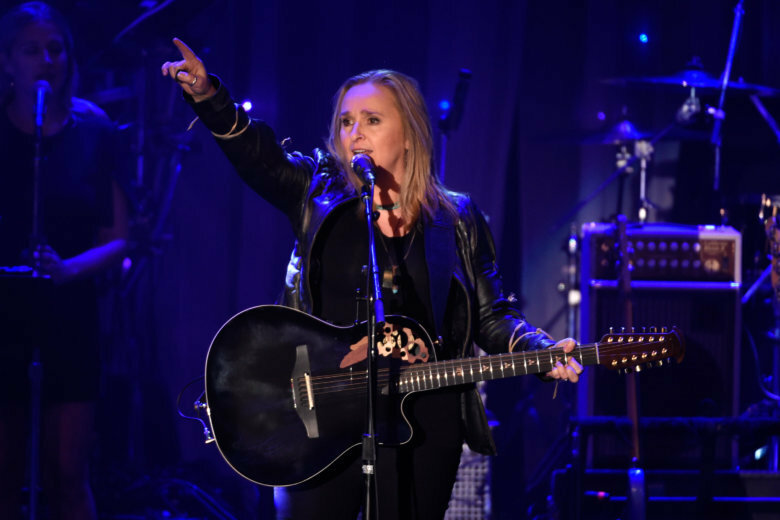 That’s what’s on tap this month as 15-time Grammy nominee Melissa Etheridge performs live at the historic Birchmere in Alexandria, Virginia, for three straight nights from Nov. 26 to 28. Etheridge has always loved the holidays because it brings out the best in humanity. Born in Leavenworth, Kansas, Etheridge learned guitar at an early age and studied at Berklee College of Music in Boston before moving to Los Angeles to play various underground clubs. Her debut album “Melissa Etheridge” (1988) went platinum with the Grammy-nominated song “Bring Me Some Water,” while her second platinum album “Brave and Crazy” (1989) earned Grammy nods for “Brave and Crazy” and “The Angels.” She finally won her first Grammy for Female Rock Vocal Performance for “Ain’t it Heavy” off her third album “Never Enough” (1992). Her fourth album, “Yes I Am” (1993), was her most successful, going six-times platinum with such massive hits as the Grammy-nominated “I’m the Only One,” which topped the Adult Contemporary chart, hit No. 8 on the Billboard Hot 100 and No. 9 on the Adult Top 40. The same album also brought arguably her most famous tune, “Come to My Window,” which won her second Grammy for Female Rock Vocal Performance. The song reached No. 4 on the Adult Contemporary chart, No. 25 on the Billboard Hot 100 and No. 27 on the Adult Top 40. Now a household name, her fifth album, “My Little Secret” (1995), went two-times platinum with another radio hit, “I Want to Come Over,” reaching No. 17 on the Adult Contemporary chart, No. 22 on the U.S. Mainstream Rock chart and No. 22 on the Billboard Hot 100. Her sixth album, “Breakdown” (1999), went gold with the Grammy-nominated hit “Angels Would Fall,” reaching No. 51 on the Billboard Hot 100 and No. 9 on the Adult Top 40. Her most recent Grammy nomination came in 2007 for her Oscar-winning activist song “I Need to Wake Up” from the climate change documentary “An Inconvenient Truth.” More recently, she played “Born to Run” at the 2016 Kennedy Center Honors for Bruce Springsteen. These days, she continues to make new music, while touring for special concerts like this. “It’s a fun rock ‘n roll show where you’re gonna leave feeling better than you came,” she said.